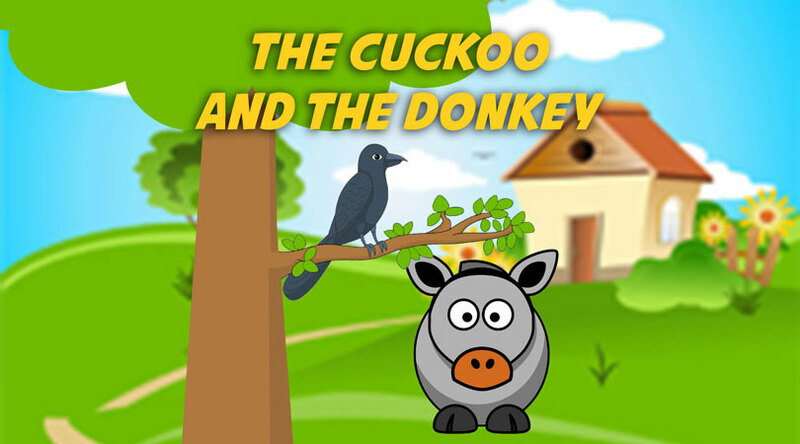 “Der Kuckuck und der Esel (The Cuckoo and The Donkey)”, according to Maria Augusta von Trapp, is a teasing song, where “the cuckoo and the donkey must have been friends, otherwise the donkey would have chased the cuckoo away”! (My Favorite Songs: Maria Von Trapp’s Childhood Folk Songs). The text is written by Hoffmann von Fallersleben (1798-1874) in 1835. 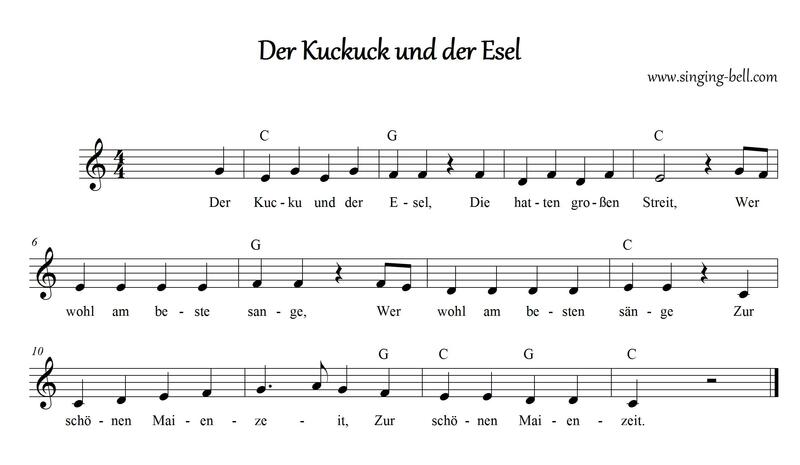 The tune is based on a melody composed by Carl Friedrich Zelter (1758–1832). Und hub gleich an zu schrei’n. Ich aber kann es besser! To save this free music sheet of “Der Kuckuck und der Esel” to your computer, right click and choose “Save Image As…”. 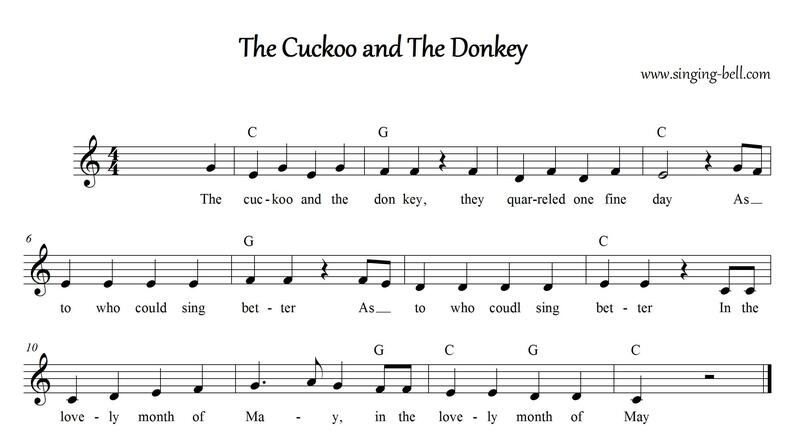 To save this free music sheet of “The Cuckoo and The Donkey” to your computer, right click and choose “Save Image As…”. 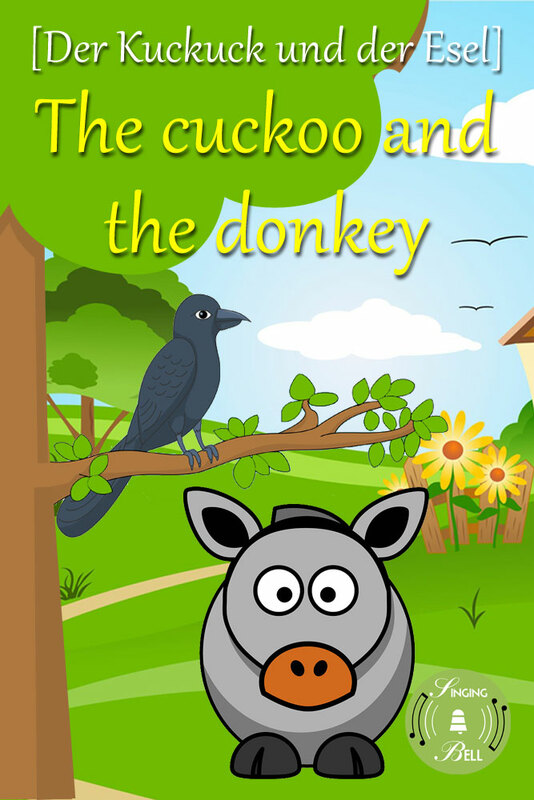 To download a ready-to-print PDF of “Der Kuckuck und der Esel (The Cuckoo and The Donkey)” for music activities with a music sheet, lyrics and a drawing for kids to paint, right click on the following link, then choose “Save link as…”. 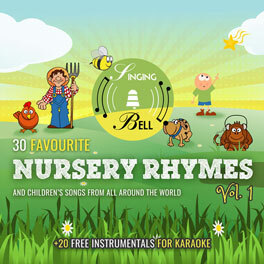 Use a glockenspiel or the music instrument you teach (e.g. 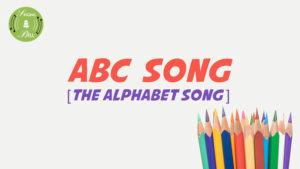 piano or guitar) to accompany the song with chords (C and G major). 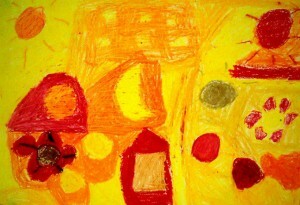 Agree with the children to change the chord every time you make a signal (you could use Kodaly hand gestures). 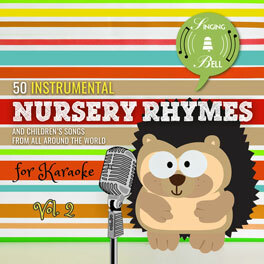 As the tune is harmonized with just two chords, this is one of the songs that are suitable to practice them. Additionally, you can transpose the song and learn the two basic chords (tonic and dominant) in a different key signature. 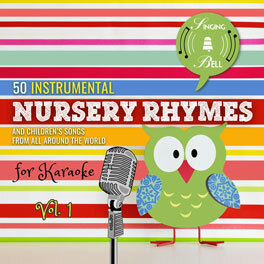 And, of course, this is a funny song you can sing and dance dedicated at the month of May!